IDC/Games added another game to its roster today. 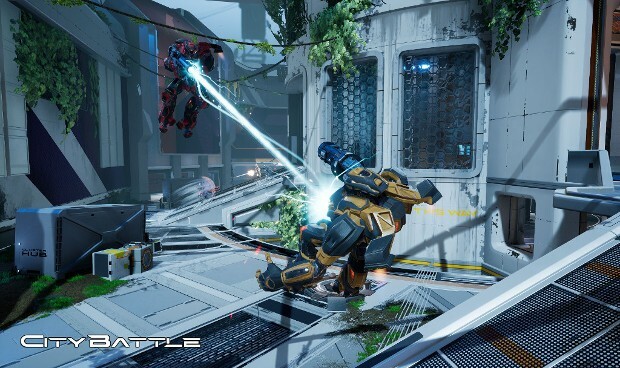 CityBattle is a sci-fi MMOFPS developed by Russian Studio LLC RIKOR IMT. Players summon robots to fight in arenas ranging from casual to ranked games. The robots come in a large variety of classes — four basic and over 70 subclasses. Players will be able to level all the classes at once and switch between them during battle. In addition to fighting with armed robots, CityBattle also offers players the chance to run their own cities. Players can take on the role of Mayor, control the city budget, form alliances, declare war, and even hire ministers to oversee everything from city planning to war. CityBattle will enter closed beta later this year. Players can sign up for testing on the official site.